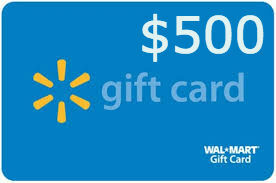 Found another $500 Walmart gift card giveaway. This one is open worldwide. It ends at 12 am UTC on 1/2 which equates to 7pm EST on 1/1. Good luck.